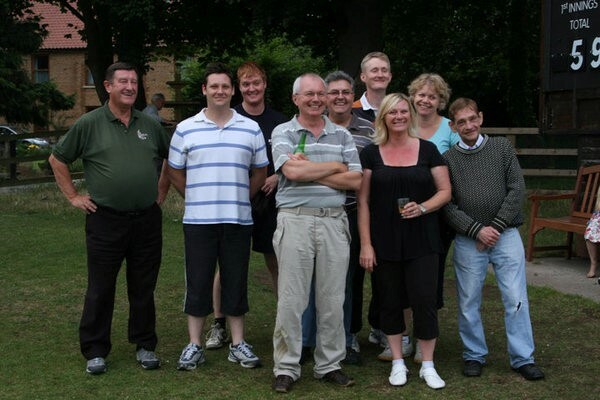 They say that a week is a long time in politics but a year was a long time to wait for the Parish Council to gain revenge for last year’s heavy defeat in this, the fifth instalment of the annual match with the Ebor Players. The Council needed 60 to win at 4 an over. Openers Godfrey & Bewley began in contrasting fashion, the latter cracking balls to the boundary to retire on 10 the former opting for a more Boycottesque approach. New signing Dale M could not resist hitting his first ball for 6 and in the process nearly decapitating a nearby dog walker on Ferry Lane, he too retired on double figures as did Stewart Harrison whose undefeated 12 gave him the record for most runs scored in all the matches played to date. The dogs of Bishopthorpe were out in force on Sunday, as they and their owners converged on St Andrews Church for the Bishopthorpe Fun Dog Show. There were six show classes to compete in, so if ‘cutest pup’ didn’t quite suit your dog there was always ‘best turned out pair’ or ‘best six legs’. There were some notably creative entries for ‘dog most like the handler’, and some sob-stories to go with ‘best rehomed dog’, but the most popular class was ‘the dog the judges would like to take home’ – perhaps in the hope that they would! 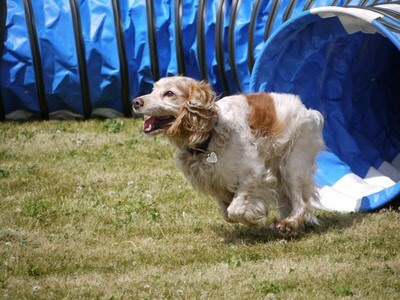 Ebor Dog Training gave exciting displays of dog agility and dog handling, and Hearing Dogs for the Deaf gave a thought-provoking demonstration of how their trained dogs can make a real difference to the lives of deaf people. So with fine weather, well-behaved dogs (and owners), good competition, and fresh strawberries on hand, a good day was had by all.